The Centre for Schistosomiasis and Parasitology (CSP) which was established in 1999, is the principal reference laboratory for parasitology research in Cameroon and plays a leading role in research and implementation of control strategies for schistosomiasis and soil-transmitted helminthiasis. Although the parasites responsible for these diseases have been studied extensively, the epidemiology of infections and many aspects of their biology remain poorly understood. The CSP aims to address these knowledge gaps and establish a dynamic framework for high-level research in these areas. The CSP plays a seminal role in research for schistosomiasis and STH in Cameroon, translating its unique expertise into action to improve the health of those who need it most. A robust knowledge of the distribution of parasites is essential to successfully confronting them. Work carried out at the CSP has enabled data on schistosomiasis and STH to be updated which in turn, enables efficient planning, coordination and evaluation of control activities in Cameroon. By placing these diseases under the microscope, CSP has gained a wide range of scientific expertise and strengthens the research capacity of research teams both at national and international levels. This has resulted in a strong multidisciplinary partnership in the international parasitology community. The centre is linked to the University of Yaounde I, Cameroon and it assists the Ministry of health in the implementation of control activities and operational research. The centre employs a multidisciplinary team of over 10 people, with in-depth knowledge in epidemiology, parasitology, disease control and surveillance. The team which has a vast experience in applied field research and the development of control programmes is comprised of researchers, lecturers, medical doctors, lab technicians, PhD and Master students. The Centre for Schistosomiasis & Parasitology is headed by Professor Louis-Albert TCHUEM TCHUENTÉ, who set up the centre in 1999 with a view to putting in place an adequate framework and a dynamic team for high-level research. 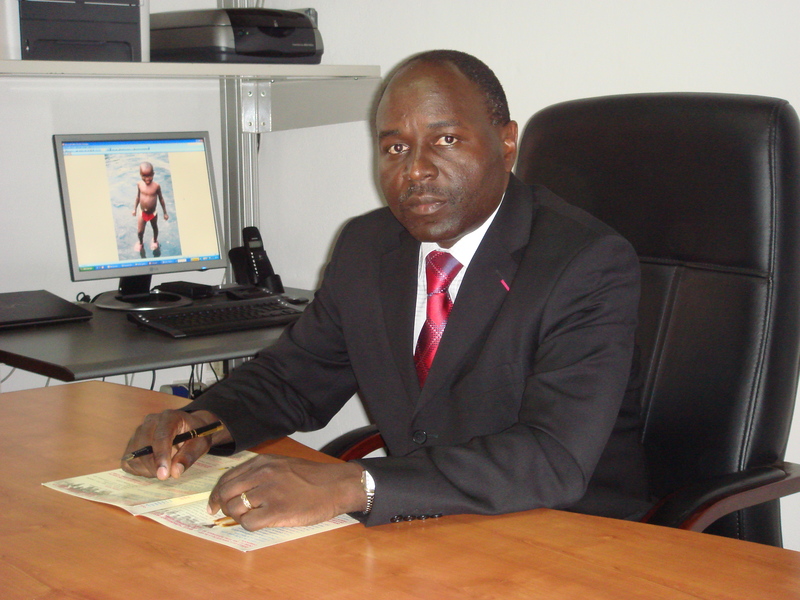 Professor TCHUEM TCHUENTÉ, who is an international expert, member of several learned societies and winner of several international scientific awards, is an author of more than hundred publications in leading international scientific journals. Lecturer in Parasitology at the Yaoundé University I, Professor TCHUEM TCHUENTÉ is the national coordinator of the National Programme for the Control of Schistosomiasis and Intestinal Helminthiasis in Cameroon, one of the priority programmes of the Ministry of Public Health. Keen defender of capacity building in research and investment in science and technology in developing countries, Prof TCHUEM TCHUENTÉ, through his scientific discoveries, has contributed to a better knowledge of the reproductive biology of schistosomes and implications of the latter on the epidemiology of schistosomiasis. He has, notably, called into question the concept of "faithfulness among schistosomes” by proving the process of change of sexual partner and the existence of a competition for mating in these parasites. In addition, he has demonstrated the "exclusive competition among schistosomes," and has contributed to the discovery of a new species of human schistosome called Schistosoma guineensis.